MALLET, A.M. - Isles de Rhodes. Isles de Rhodes. - MALLET, A.M. Title : Isles de Rhodes.. 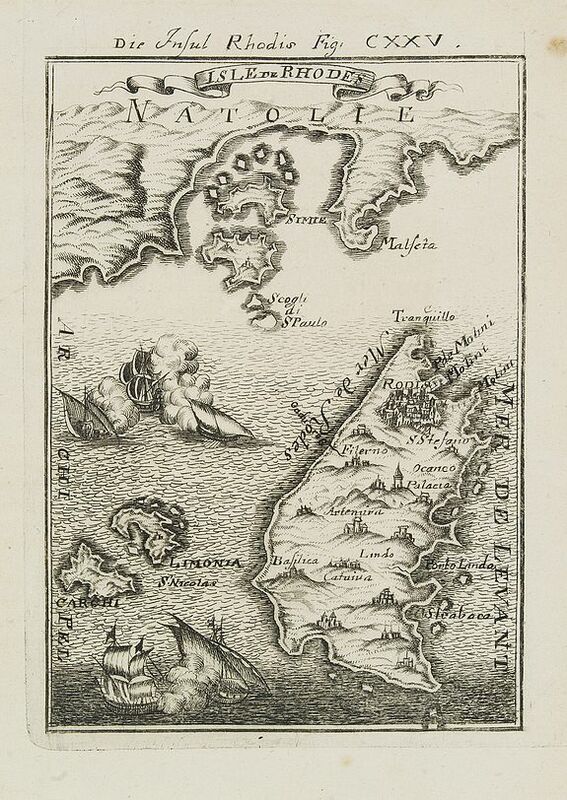 Description :A charming late 17th century map of the Islands of Rhodes. Condition : Very light marginal spotting. Else in very good condition.